The Arctic King Semi-Hermetic refrigeration Pumps are a drop-in replacement (flange-to flange) for Cornell’s CB-series. They operate without the need for a mechanical seal using hermetic technology, with exceptional NPSHr. The Arctic King includes an integrated bearing monitor for continuous monitoring during operation. 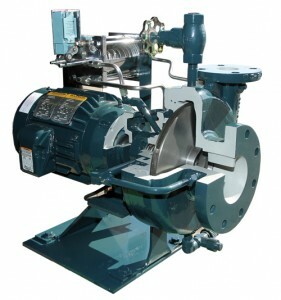 By running at low 1200 /1800 RPM speeds the NPSHr characteristics are enhanced throughout the operating range of the pump. Cornell’s CB series of refrigeration pumps have been used successfully in a variety of applications including cold storage, food processing, refrigeration, ice production and turbine inlet cooling. 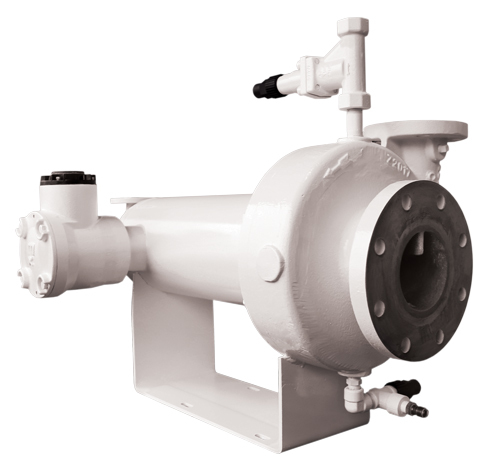 Introduced more than 50 years ago, Cornell CB Series refrigerant pumps are still commonly employed in liquid overfeed and transfer pump applications utilizing anhydrous ammonia, aqueous ammonia, and halocarbons such as R-22 and other approved refrigerants.